BOOK SAMPLES | selections from 50+ book projects designed for various clients. The cover for America's Main Street Hotels was constructed of pieces of collected historical postcards, obtained from the collection of the authors. Elements of the cover's building collage are used throughout the book to reinforce the subject matter, and provide interest. The repress of an historical novel, based on the Hatfield/McCoy feud in West Virginia. I used a mock newspaper article to reference the news of the day, with an illustrated circling of the article in red, to reference the violence and blood of the feud. Using typefaces that reflect those used in the time period of the novel, and photocopying them over and over to roughen the edges, provided the newsprint feel to the title and body copy alike. 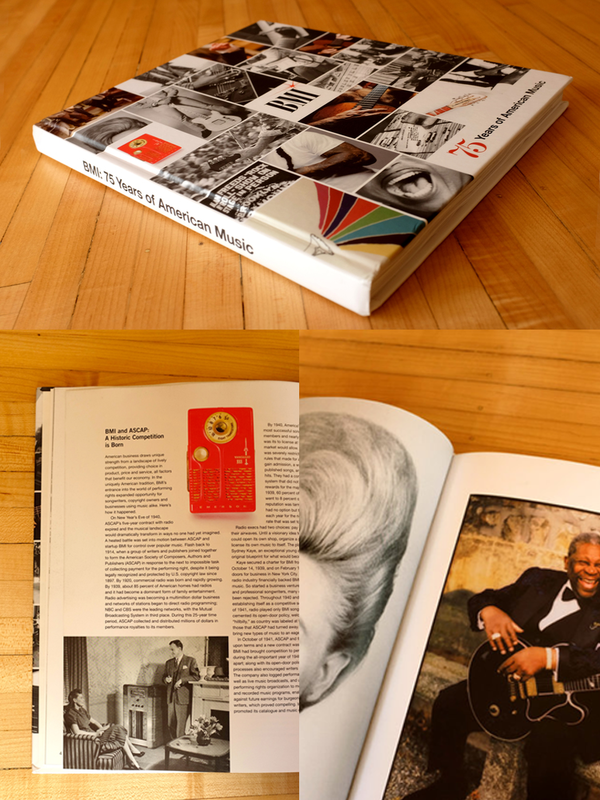 A heavily-illustrated coffee table book celebrating the history of BMI, a leader in music rights management. 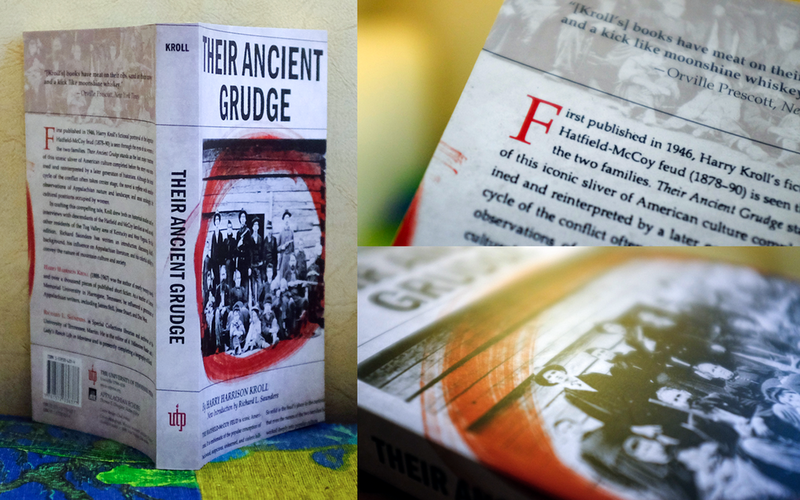 Designed in collaboration with Mike Delevante and Bob Guccione Jr., this book won a Gold Addy Award for book design. A heavily-illustrated coffee table book celebrating the history of the Lady Vols, and highlighting the history of Title IX. There is a running timeline throughout the book, and numerous sidebars that call attention to individual athletes and accomplishments. This was my first "real" book project, and a doozy. This heavily-illustrated pair of books were designed as identification and guide books, to either sit on a shelf or be used in the field (flexi-binding and water-resistant covers). 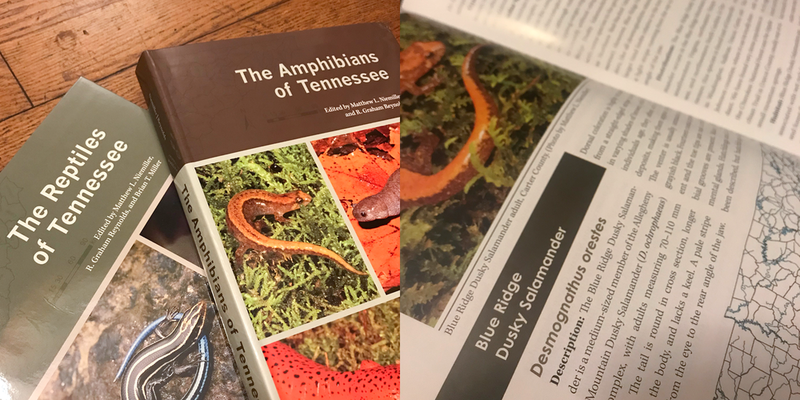 Between the two they cover over 140 species of amphibians and reptiles, with detailed photographs, descriptions, and range maps for all. Being the biography of a political activist, I took the opportunity to bring in bold angles and colors, playing off of the megaphone in the main photo of Charles Haynie. I split the photo into a black and white bottom half and an exaggerated top section made of cyan halftones to reference getting louder in a crowd, and add to the political activist aesthetic. Chapter heads use large blocks to provide impact, and I use a large, bold drop-caps at the start of each chapter for contrast. An architectural identification book of sorts, discussing common building types in America and how to identify similarities and differences as seen from the road, taking generic architectural types and making sense out of them as individuals and as a whole. I used a gridded collage on the cover to illustrate the way these common buildings get lost in the real world by being surrounded by each other. 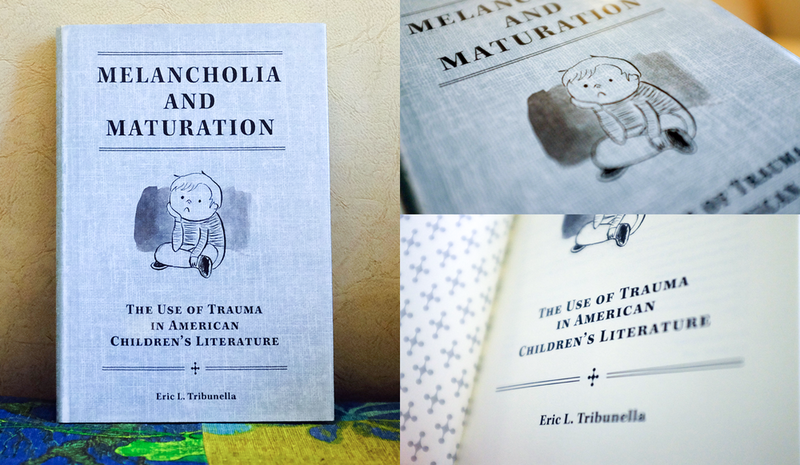 A scholarly look at childhood trauma. I wanted this book to feel like an old illustrated children's book, so I used old book textures and a commissioned illustration by my friend Travis Gray. I also used an ornament shaped like a child's "jack" on the cover, and repeated it on the interior pages as a decorative pattern or endpage. A poetry book by my good friend Jesse Graves. Jesse's poems are rooted in the soil of a southern farm, so I wanted this book to feel well-read and used. The pocket knife on the cover becomes a symbol of the relationships built within the poems themselves; between father and son, uncle and brother, and man to machine and land. I used an illustration of barren pine trees on the inside cover to carry the title through, and have a tactile effect. It's a beautiful collection of poetry, and still receives many accolades and awards. Using old maps of London, textures, and layers of collage to illustrate this novel, based around the main character, The London Bridge. A book about Tennessee's death penalty, and the fight to end it. I used the 3 stars of the Tennessee flag in combination with the scales of justice to provide entrance into the theme. The star design becomes a decorative element in the title page and section pages. A book about realist fiction/horror author Ambrose Bierce. I used the basic and bold red and black color scheme to reflect the horror element in Bierce's stories, and carried the type to the inside for chapter heads and contents, etc. 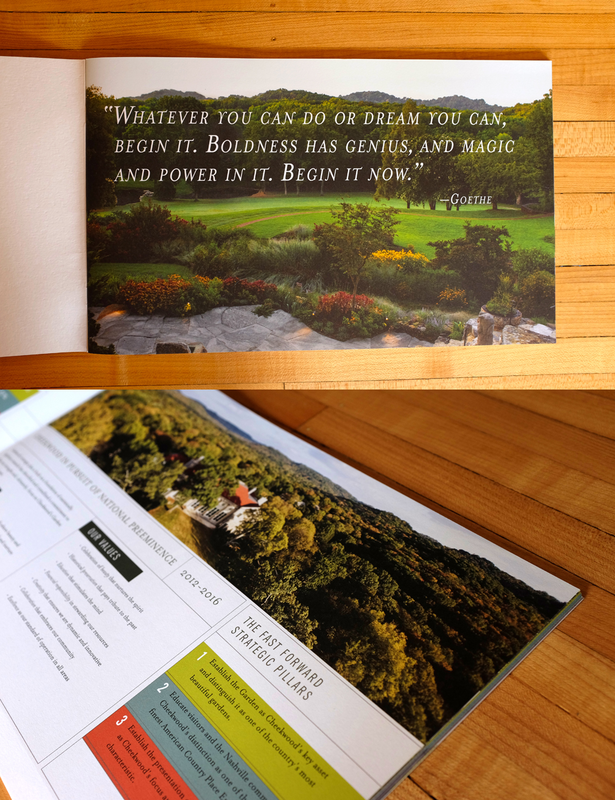 A lush and heavily illustrated book for Cheekwood. Historical and exhibit photos, charts, and graphs illustrate the state of finances for Cheekwood, a botanical garden/art gallery in Nashville. The cover is debossed and each section has a new color theme, based on content. These colors are reflected in the charts and graphs as well, providing continuity and consistency throughout.